There are no case series published in the literature, however. British trauma surgeon Dr. Keith Porter has a nice article published in the British Medical Journal describing his personal experiences with three (THREE!) pre-hospital limb amputations and some nice information regarding the procedure (Porter, 2010). There are no solid published epidemiologic data on this in the United States, but a survey given to North American EMS directors at a meeting of the National Associated of EMS Physicians (NAEMSP) in 1992 suggested that there had been 26 pre-hospital limb amputation procedures performed in the previous five years in the departments of the 143 respondents (Kampen et al, 1996). Most of these cases were due to motor-vehicle crashes, structure collapse, and industrial/farming accidents. A number of more contemporary US case reports are well chronicled in a thorough United States Fire Administration report referenced below (Mustafa). The common themes are a critically ill patient with an entrapped limb, non-existence of pre-existing protocols, and chaos related to medical direction and provider authority to perform the procedure. The bottom line is that the pre-hospital limb amputation is a rare but potentially life-saving procedure that we should all be familiar with. Need for rapid/emergent removal of the patient from their environment due to life-threatening factors that are either situational or patient-centered/medical in nature AND entrapment of a limb that would be amenable to field amputation otherwise preventing the emergent removal of the patient from their environment. Entrapment of a limb at a proximal location so as to not allow proper placement of a tourniquet to control bleeding. Environmental or situational consideration as to make the procedure unsafe for the provider. Colella, M Riccardo. "Field EMS Physician Limb Amputation Training and Guidelines." MCW : Field EMS Physicians. Medical College of Wisconsin Department of Emergency Medicine, 2015. Web. Kampen, K E "In-field extremity amputation: prevalence and protocols in emergency medical services". Prehospital and disaster medicine 11(1):63-66, 1996. Lorich, Dean G., Devon M. Jeffcoat, Neil R. Macintyre, Daniel B. Chan, and David Leonard Helfet. "The 2010 Haiti Earthquake: Lessons Learned?" Techniques in Hand & Upper Extremity Surgery 14.2 (2010): 64-68. Macintyre, A. "Extreme measures: field amputation on the living and dismemberment of the deceased to extricate individuals entrapped in collapsed structures". Disaster medicine and public health preparedness (1935-7893), 6 (4), p. 428. 2012. Mustafa, Ivan A. 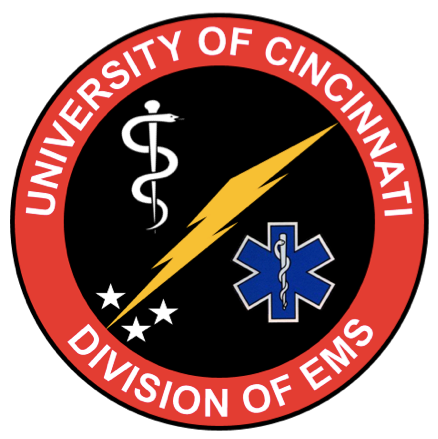 "Field Limb Amputations Used as an Extrication Option in Complicated Entrapments or Disaster Events." (n.d.): n. pag. United States Fire Administration, Seminole County Fire Department, unk. Web. Porter, K. M. "Prehospital Amputation." Emergency Medicine Journal 27.12 (2010): 940-42. Web. Weingart, Scott. "Prehospital Amputation." EMCrit. Emcrit.org, n.d. Web. 11 Apr. 2015. Zils, Steven W., Panna A. Codner, and Ronald G. Pirrallo. "Field Extremity Amputation: A Brief Curriculum and Protocol." Academic Emergency Medicine 18.9 (2011): E84. Web.